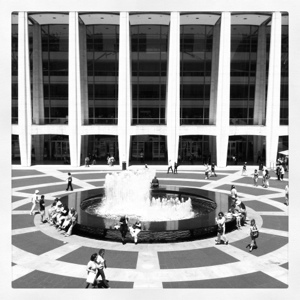 Twice in June we visited Lincoln Center: once for the Australian Ballet’s Swan Lake, and once for Yoyo Ma. I love hanging out here, having a glass of wine on the balcony, or eating gelato out on the sidewalk. Great stuff.